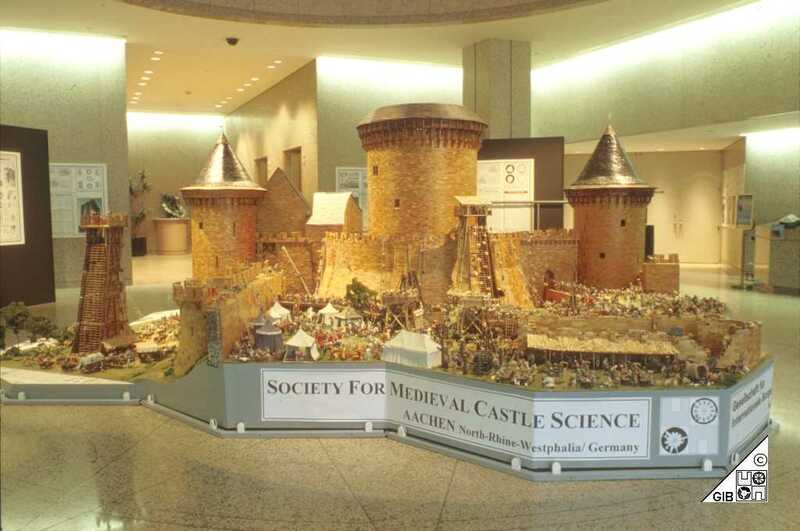 Our exhibition has at its fascinating center piece the authentic model of the castle at Coucy near Soissons represented on the scale 1:25. 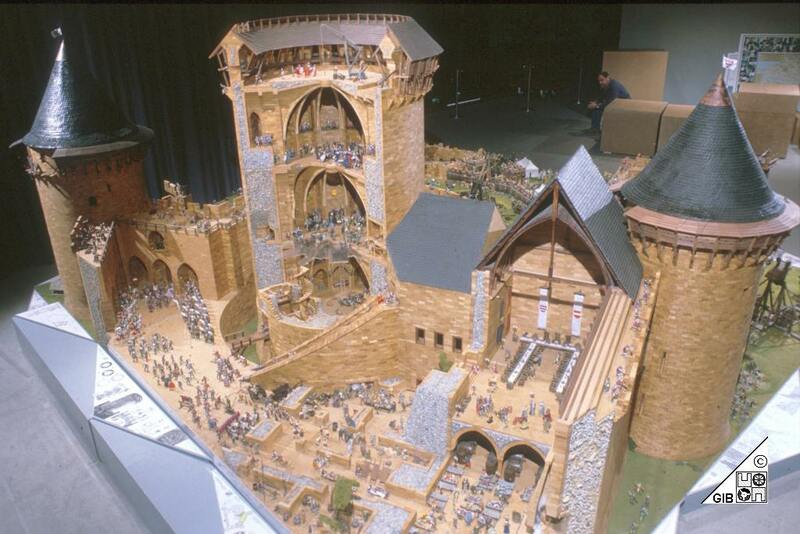 The model has a 2.4 m high defensive tower. 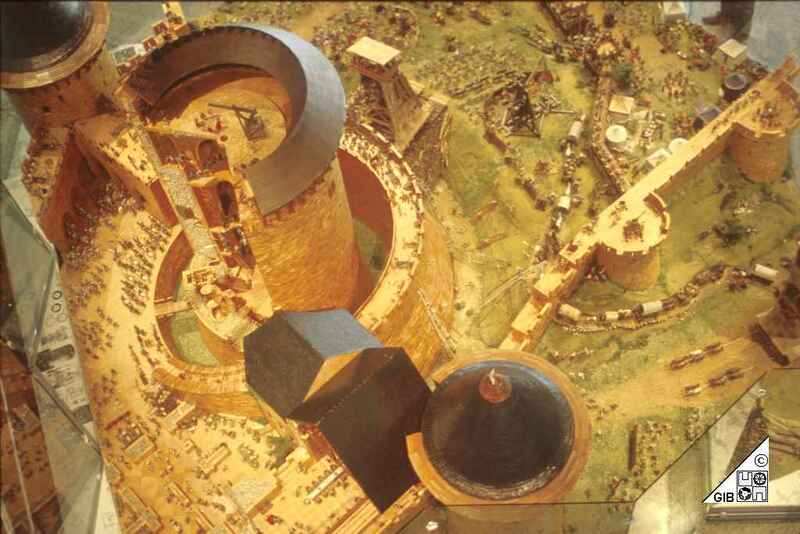 The original donjons measured 54 m high and 31 m in diameter and had walls up to 7.5 m thickness. It was blown up by German troups using 27 tons of dynamite during their withdrawal in 1917. 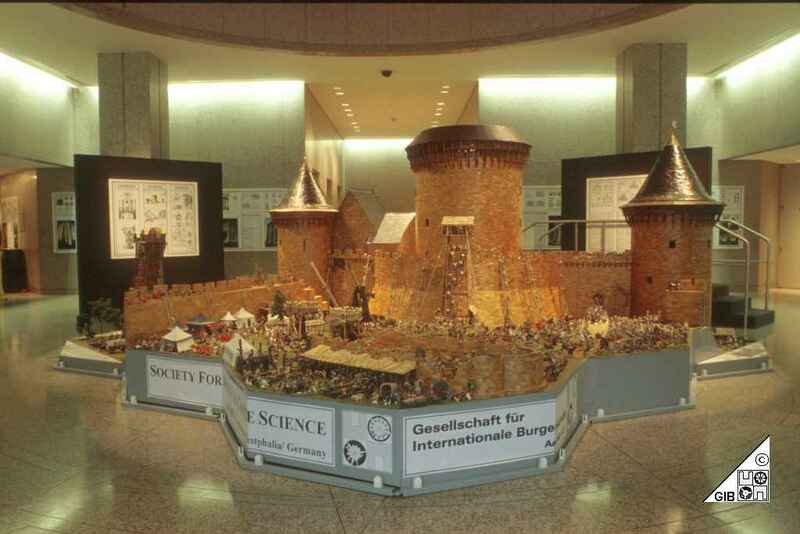 However the data of the castle are well preserved so that exact and detailed technical drawings could be made from 19th century sources and from photos in German and French archives. 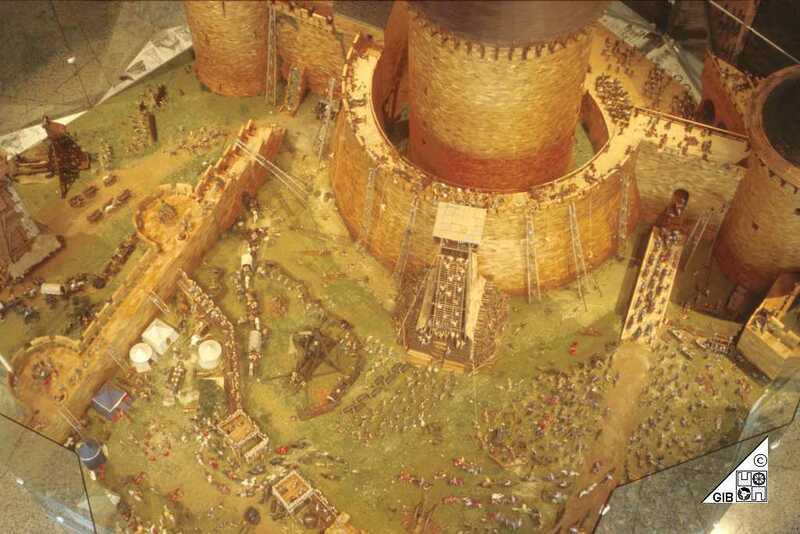 Life at that time both in war and peace is illustrated using more than 2 500 figurines (knights, servants, horses...), shown either engaged in the siege on the outer side of the castle or in scenes of courtly life inside the castle. French visitors to the GIB's exhibition have considered its presentation as an impressive kind of apology and reparation late in time. 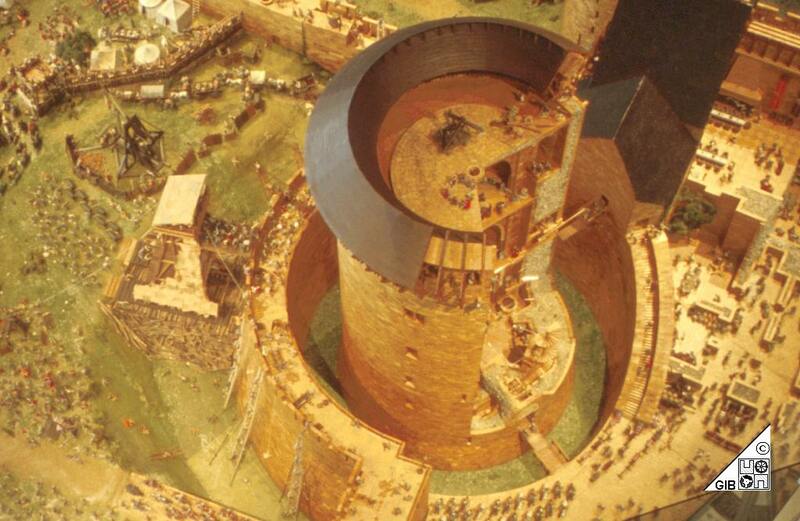 The whish has been expressed to reconstruct the donjon in its original place in Franco-German collaboration. Experts for example of the Société Française d´Archéologie during our exhibition or of the Bund Deutscher Baumeister in a 7 page article of their journal BDB-AIXtract, also in the publication 10-12/2000 by Deutsche Burgenvereinigung e.V. have attested the high quality of the exhibition French Donjons.